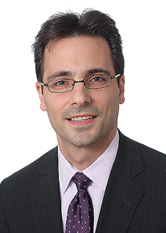 John J. Tepedino focuses his practice on complex commercial disputes and bankruptcy litigation. He also has significant experience in white collar defense and securities litigation. He currently represents the SIPA Trustee for the liquidation of Bernard L. Madoff Investment Securities LLC and the Chapter 7 Trustee of Bernard L. Madoff in connection with the recovery of assets for creditors of Madoff's Ponzi scheme. Mr. Tepedino is a member of the Association of the Bar for the City of New York. From 1996-2000, Mr. Tepedino worked as a Legislative Assistant and Campaign Manager for Congressman Rick A. Lazio of New York.